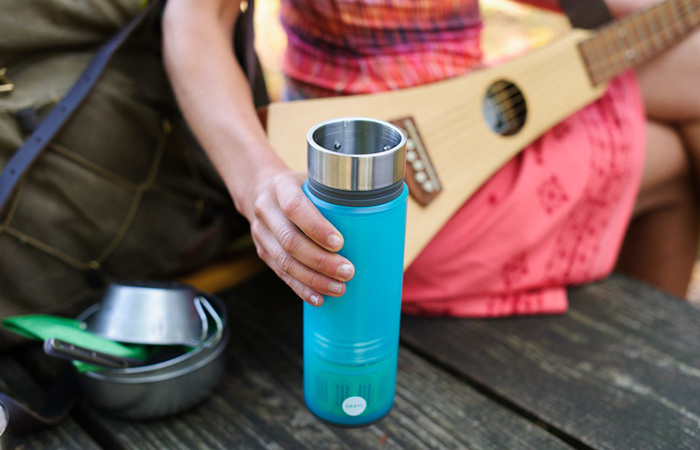 The GRAYL Water Filtration Cup is a great source of clean water wherever you go. It’s filtration system can remove 99.94% of protozoan cysts and 99.99% of bacteria. It also filters chemicals and heavy metals. The components are: outer cup, inner cup, flip-lock lid, and Trail Filter. The way it works is like a french press. First you fill the outer cup with dirty water. Then you slowly press the inner cup onto the outer cup. It produces new water quite fast; under 15 seconds.